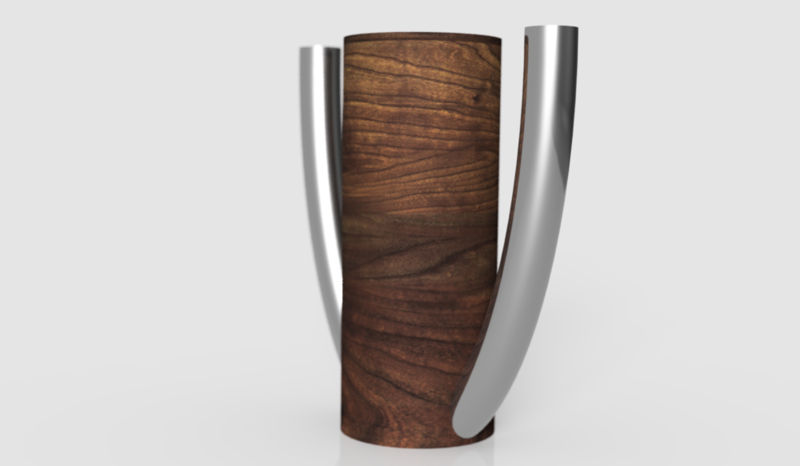 This is a water pitcher I designed out of stainless steel and walnut. 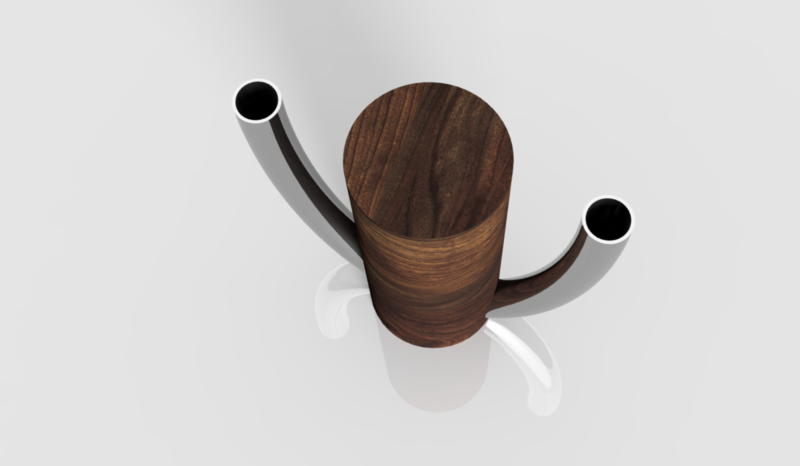 It's unique feature is that either side can be used as a handle our a spout. I am currently in the process of mass-producing this line.